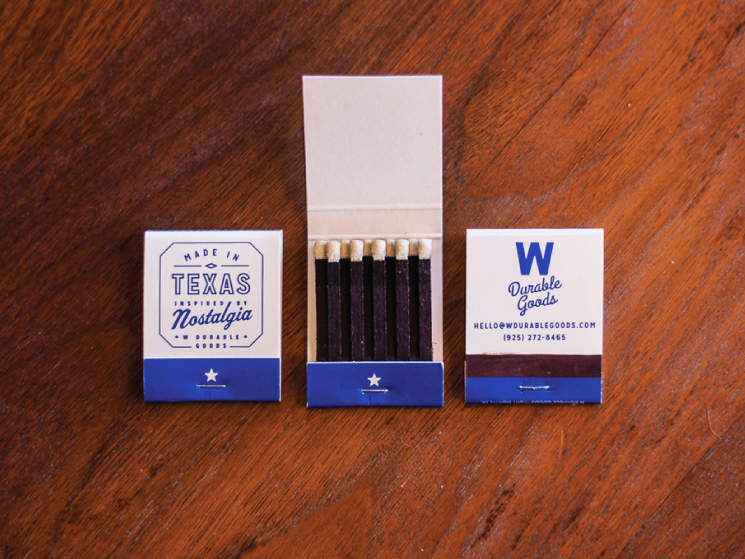 Jon Chapman designed these matchbook business cards for W Durable Goods, a handmade leather-goods shop in Fort Worth. The client is a unique man, Daniel Wright, whose search for products that would last, led him to creating his own products. Daniel uses heavy duty canvas, repurposed military fabrics and hand-cut leather to make zipper bags, backpacks and other daily-use items. All his products are hand-punched, hand-stitched and assembled in-house so they last a lifetime – or longer. “We had all kinds of ideas about how to incorporate his materials and images into brand extensions, and in a conversation he told us he didn’t really have business cards. But he always had a bowl of matchbooks in his shop, and those matchbooks were always more popular than any collateral materials. So we utilized matchbooks to be his point of contact,” Jon said. For inspiration, Jon found scanned in yearbooks from the 30s and scoured advertising that insisted “Strong Men buy *blank blank* nails” etc. Jon and his team also collected assorted badges to understand how designers used to organize their information. “We also realized that there was a production limitation in color usage (for matchbooks), which worked to “date” the design. So we used the one-color option and chose royal blue rather than the nuanced mid-tone blue we had chosen for the brand identity. It’s the standard American blue you can find in hundreds of cigar lounges and 50’s restaurants, which ended up really fitting the every man, pretension-free brand,” Jon added. Being a local business, using local sources is high priority. 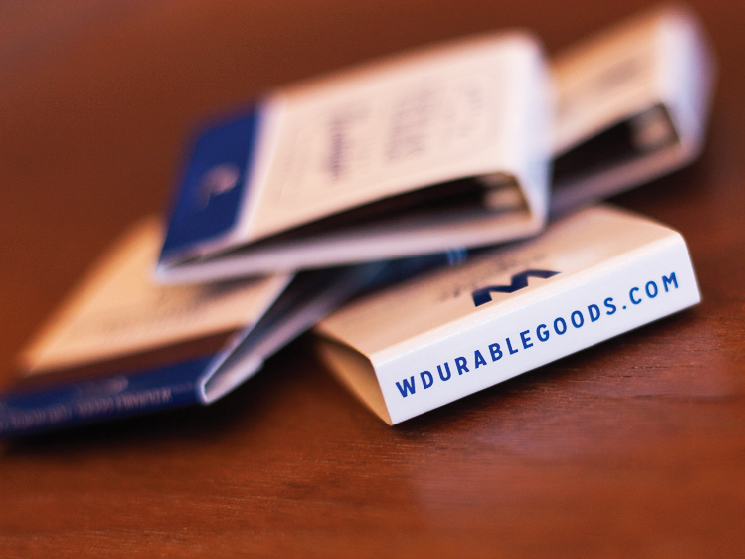 And because these business cards were also matchbooks, Jon used Atlas Match, which is about 20 min from the shop. This is one perfect example of using other materials instead of the usual paper stock as one’s point of contact, ’cause there’s no limitations to creativity and if this fits the brand’s image and purpose, why not?